The fourth Cosplay Festival will be held in Holiday Inn Baku on April 15. The main theme of the festival is Galactic Journey. 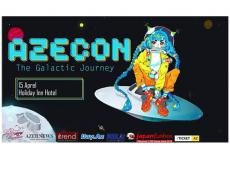 The event is organized by Azerbaijan Cosplay Convention (AzeCON). Cosplay, a Japanese term derived from the combination of the English words costume and roleplay, refers to dressing up as characters from anime, manga, video games, movies, and even books. The participants, called cosplayers, often put a lot of time and money into their outfits, with some making a living off of their modeling work as full-time professionals. Japan is well known for its cosplay culture that sprung up in the 1970's from the massive anime following among Japanese college students. However, this enthusiasm has spread to other countries, particularly East Asia and the US, where there are major conventions.